wiihkoowia kiilhswa is the fourth lunar month of the Myaamia lunar calendar. Like the other months named for birds, wiihkoowia kiilhswa is associated with the process of transition from pipoonwi (winter) into niipinwi (summer). 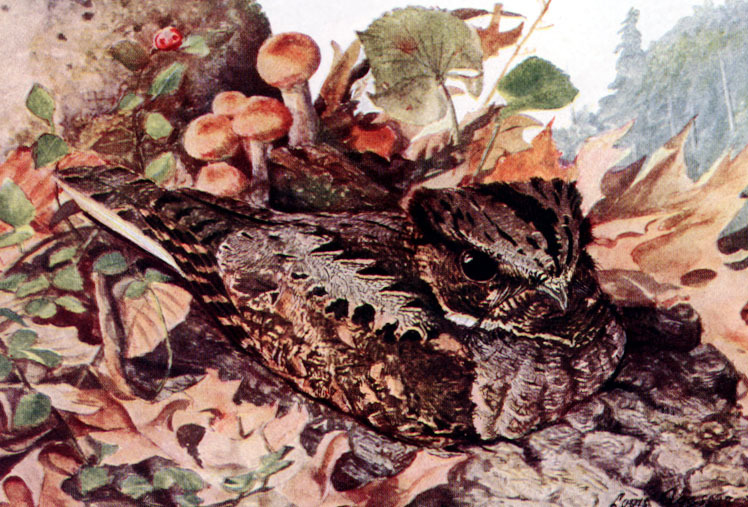 The month is named for wiihkoowia (Eastern Whip-poor-will – Antrostomus vociferus). Around this time of year, Whip-poor-wills return from their winter nesting grounds around the Gulf of Mexico. Historically, Whip-poor-wills nested throughout our traditional homelands along the Wabash River Valley. Because these night birds nest on the ground, drastic changes in forest habitat have decreased populations of wiihkoowia in central Indiana and in eastern Missouri near the contemporary home of the Miami Tribe of Oklahoma.. The call of wiihkooowia is distinctive and was used to mark the beginning of planting time for Myaamia miincipi (Miami corn). Corn that is planted during wiihkoowia kiilhswa is usually in the green corn stage by kiišiinkwia kiilhswa (Green Corn Moon).